Who says Earth is the greatest planet in the solar sys? Not me, I just live here. I'm going to leave this up to you fine people. Each day this week we will be pitting planet against planet. You choose which of the two is the better planet. Finally it will conclude next Monday with the final winner. These two have been locking rings for centuries. Though many have forgotten how the wars started, I in fact have found the source of their feud. Evidently Saturn was with this one moon, and found out that Uranus be creepin'. Saturn was all "Nuh-uh he's my moon" and Uranus was all "Planet please..."
So who's it going to be peeps? Cast your vote below. I think I'm going to pick Uranus. Wait, did I just say that? 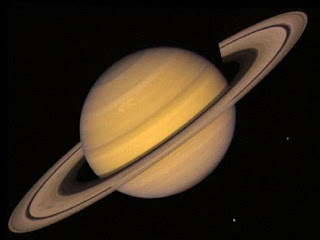 Saturn is cool and all, but how many jokes have the word "Saturn" in them? None, that's how many! How many school children giggle every time their teacher says the word "saturn?" That's right, NONE! Gotta be Uranus all the way. 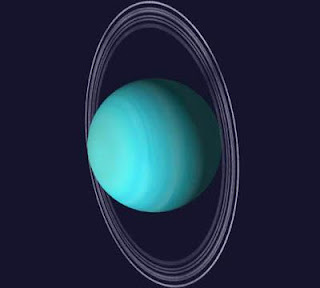 Cal, Uranus has rings too... hehe Uranus. How can you not laugh? Joe, Fair point. Has to be a wacky planet. She just refused to dance with me and make our rings mix together in swirl of beauty that would have wowed the Olympic judges. I still hurt from that. So I look to the heavens with hope and ennui and murderous rage. Love you baby. I just can't vote for Uranus, TS. I don't even know you. I have to go with Saturn. Uranus is the strongest horse in this race.... I have to vote for the underdog.... Go Saturn! Saturn has more rings. It has more moons. It has more mass. It gets more sunlight. It moves with more speed. And it has more car companies named after it. So, I guess it should get more votes.